ALLU’s new patented ALLU TS® drum assembly construction allows customers to achieve flexibility in performing multiple jobs with one unit by repositioning the standard screening blades. Manufactured for the existing ALLU D-Series material processor bucket frames, the core of the ALLU TS technology is the configuration of the screening blades that spin between the screening combs. The end product size is defined by the space between the combs, and different fragment sizes can be achieved simply by repositioning the combs. Because the screening combs carry most of the material weight, the drums and bearings experience less impact and load. The design of the assembly ensures the machine works well in wet and dry materials without clogging. The TS drums are available with two different blade types: standard blades for screening applications and axe blades when a crushing or shredding effect is required. Blade sizes available include 0.63/1.26″, 0.98/1.97″ and 1.38″. 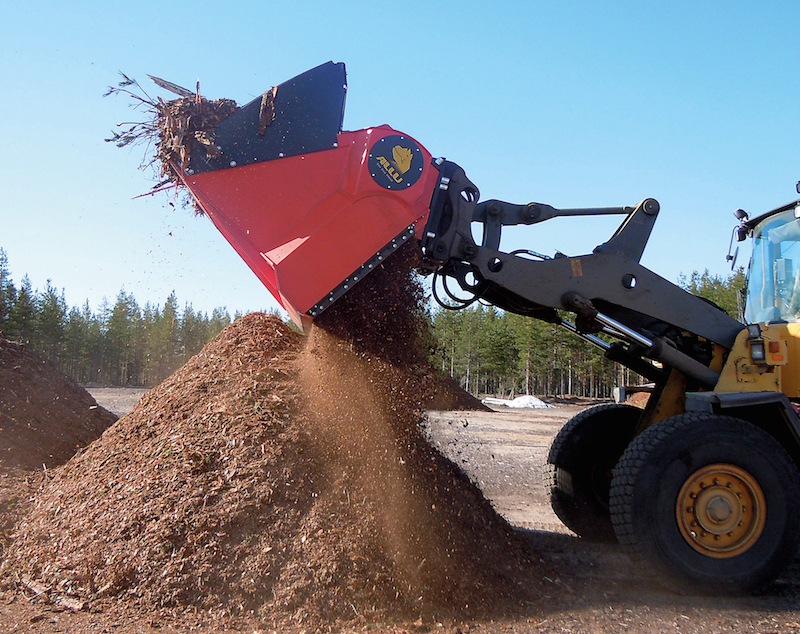 The TS assembly is available in seven different models for 17.6- to 49.6-ton excavators and 7.7- to 33-ton wheel loaders.